As part of the new visual style for the brand, this design was for PROTO's hand tool safety seminars. The concept revolved around how to show what can happen on a job site with poor safety training and indicate in a simple manner that it can be prevented with the right information, which PROTO could provide. The concept was built around the fact that these tools have the highest amount of breakaway torque on the market today. It played off of the question of what happens when an unstoppable force meets an immovable object. In this instance, the PROTO Air Tool answers that very question. 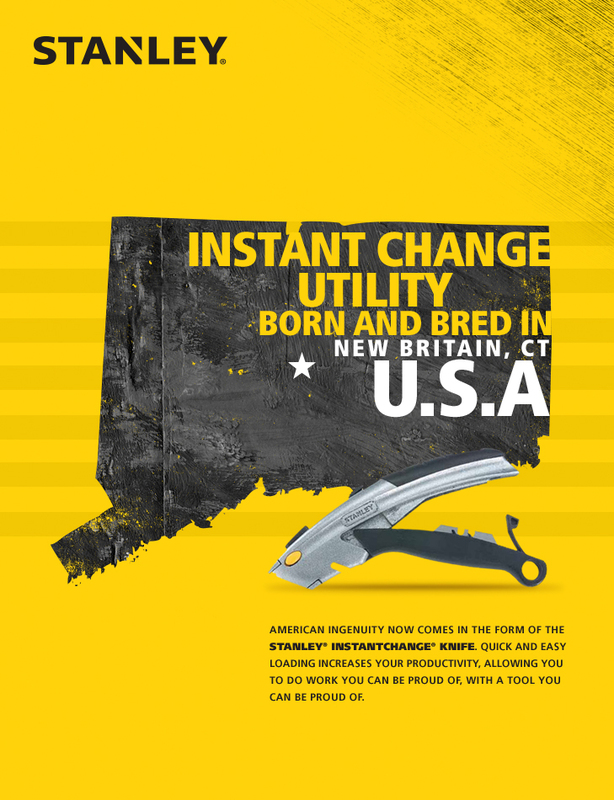 We were tasked with creating multiple concepts for how Stanley Tools could emphasize their American heritage. So we approached this problem in a few different ways. Ranging from how their tools could help rebuild local communities to instilling national pride to rallying cries as to what the American dream means to Stanley. These were the designs that highlighted the thinking. Scandinavian Tobacco Group created a line of premium single cigars that were being sold at convenience stores. Our task was to develop a campaign that told people of their availability as well as providing them with items in the store that would pair well with them. Storyboards by Matt Durand. Video production by Chris Rollins. Stony Creek is a brewery in Branford, CT. Since their brewery is on the water, the heron has become their brand spokesperson. The beer packaging picks up a vibrant and fun tone that speaks to the laid back nature of their brewing style. Uncle Julio’s is a polished casual Mexican restaurant chain predominantly in the southern United States. As part of their larger website rebuild, we were tasked with establishing a new brand guideline that could unify the look of the company going forward. The designs sought to be fresh and modern with a touch of their authentic heritage. Accurate is a high end manufacturer of locks and the hardware that goes with them. Since they were getting more into the upscale market, they wanted to update their brand identity. This included a new logo, brand guidelines, and collateral. The logo sought to balance strength with precision and fine detail they are known for.